The Australian Specialty Coffee Association (ASCA) in collaboration with the Genovese family would like to congratulate the winners of the Eleonora Genovese Australian Coffee Woman of the Year, and Rising Star Awards. The Awards recognise the many contributions Eleonora Genovese made to the Australian coffee community. Eleonora displayed many qualities that women in the coffee industry should aspire towards, such as drive, leadership, and passion to unite the local and international coffee communities. 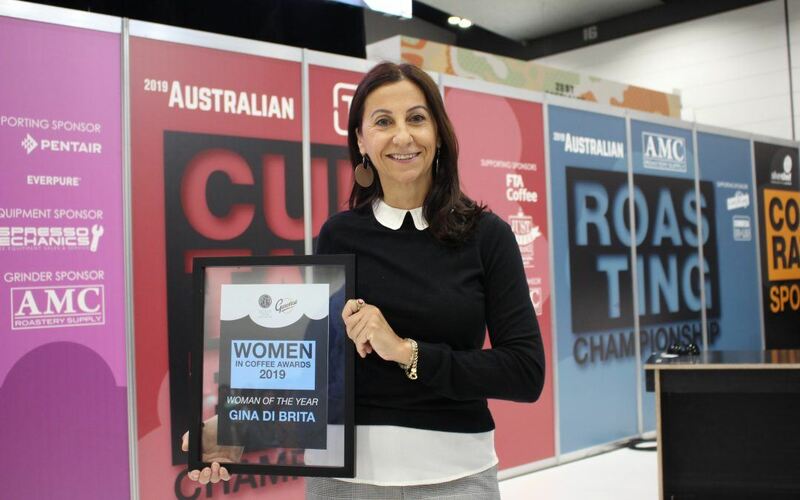 Gina has been involved in the Australian specialty coffee industry for over 19 years, and wants to build a stronger industry through greater gender equality. She recently established an Australian chapter of the International Women’s Coffee Alliance (IWCA). In Gina’s eyes, joining the global network is crucial to provide support and connect with woman growers across the world. Gina has represented the Australian coffee community globally, serving as a World Barista Championship accredited judge from 2004–2015. She has also previously been Secretary of the Australian Specialty Coffee Association, from 2006–2008 and then again in 2011. Tilly has a varied role with Tim Adams Specialty Coffee, where she is in charge of quality control, wholesale customer and technical support to over 150 customers, inhouse design and marketing and head barista trainer. Tilly offers training classes for beginners right through to advanced level, and has found herself training school-based trainees, to home brewers to baristas instore. Tilly prides herself on developing barista’s techniques not only behind the machine, but also in sensory development. Though mostly, Tilly values sharing the stores of specialty coffee with everyone and anyone wherever she can. Within Tilly’s role at Tim Adams Speciality Coffee she has been responsible for writing training manuals for both specialty coffee franchisees and Tim Adams Specialty Coffee. Tilly strives to instil passion to all those that she teaches and connects with throughout her journey in the specialty coffee industry, from budding baristas or wholesale partners. Penny began volunteering and then judging ASCA competitions back in 2008. After serving on the ASCA Board as Vice President in 2011, Penny became a World Barista Championship accredited judge and judged the 2012 competition in Vienna. Demelza has started the organisation SAME CUP which is dedicated to bringing diversity into positions of influence and power in the Australian specialty coffee industry. She is pushing for diversity which will help the specialty coffee world appeal to more people. Emma has been supporting the Australian coffee industry for years, helping to mentor and train competitors, judges and competition organisers. She is charismatic, kind and passionate about the industry, and wants to see it grow and succeed. Michaela is not only the Qld State Manager for one of Australia’s premier specialty coffee houses, Veneziano, she is also a WBC Sensory & Technical Judge, as well as an ASCA representative for the Barista Guild and Member of the Competition Committee. Bridget is committed to relationships with origin growers, to bring quality to the cup and promote the overall experience to customers and peers within the industry. She is a judge for Cup of Excellence and shares her knowledge openly with others in the industry. Mahalia is the founder of Mahalia Coffee in Robe. Initially starting out of a café using an imported coffee, her quest for a better cup led to her buying a small roaster and starting to roast her own coffee. Yanina has judged and coached multiple competitors in the last few years. She has a soft spot for new talent and doesn’t pay much attention which company they work for. Yanina has a strong belief in women on coffee, and supported the 2018 World Barista Champion to her ultimate win. Sarah mentors and leads the Extraction Artisan team everyday. She conducts weekly quality control cupping with the staff and once a month does a specific training session focussing on one aspect of coffee education. Alex has shown outstanding growth in the industry, starting in a cafe and working her way up. Following a stint at Di Bella Coffee, she moved to Undercover Roasters where she has trained and up skilled over 1,000 baristas.